I don’t want to keep you in suspense, so I’m just going to say right up front that all of our shows in Portland went AMAZINGLY. 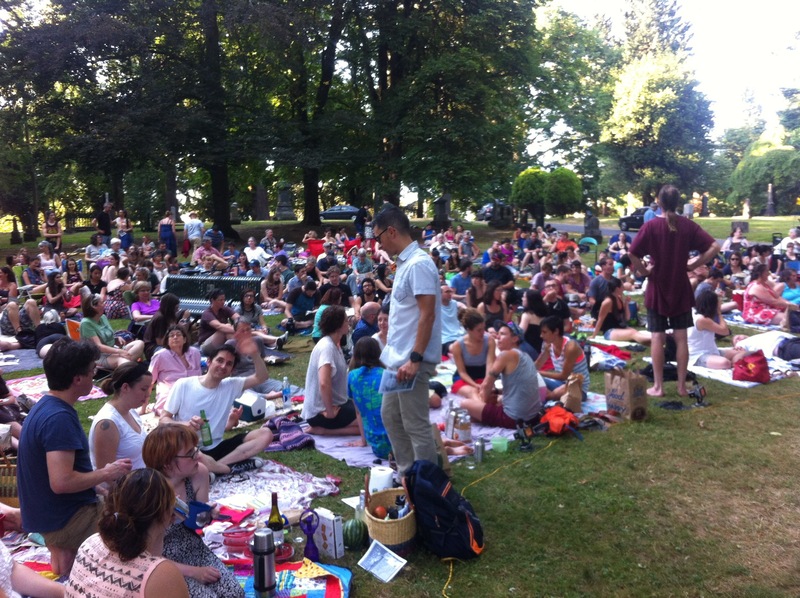 What’s more, we were able to make time to see just about everyone we know who lives in and around Ole’ Stumptown. While we didn’t end up taking many pictures, (and Scott’s phone died mysteriously so all his were lost to the cloud) we hope the ones here will help illustrate just how much good rocking fun we had, and also how much crazy stuff happened to us. 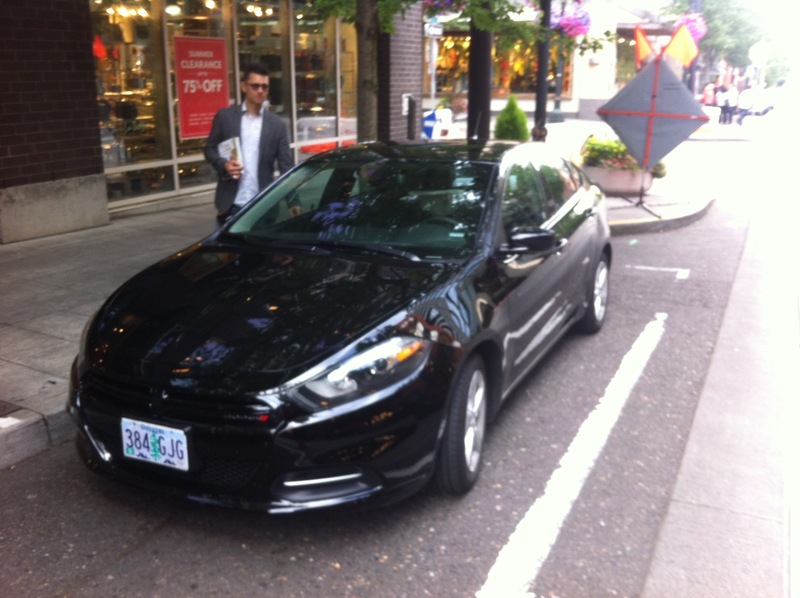 Picture #1 ScottBott and the rental car. 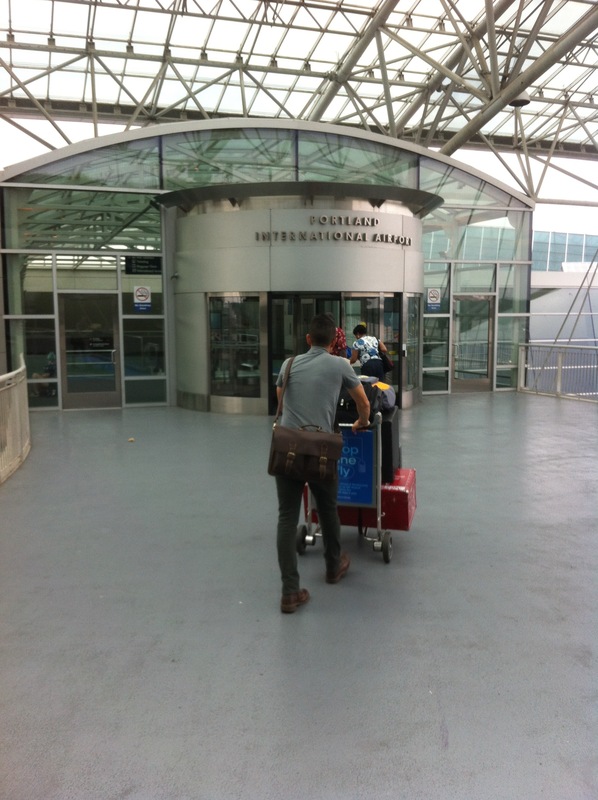 We flew into PDX with plenty of time to get to our first show that day. The plane was on time. None of our checked bags were missing. Nothing was broken once we got it. The rental car shuttle was…where the heck is the rental car shuttle?!? After sitting on the curb for a half hour, we called our rental car place. They informed us that there had been a huge accident in front of their parking lot and that they would be unable to pick us up. Instead, we were directed to go to another rental car place and told they would help us out. Turned out, the other place was unaware that they were supposed to hook us up. Finally we got everything sorted out and hopped into our Dodge Dart that smelled like an ashtray and had a Russian talk radio station blasting. Awesome. We stopped for a quick breakfast since both of us had been up since 3:30 and had only eaten honey roasted peanuts. The restaurant had booths from a long time ago in a galaxy far away. They looked amazing, but sitting in them was the opposite of amazing. As you can see in the photo, I’m having a glass of tea and we are having a conference call with another guy named Scott in regards to a commercial we’re going to be shooting in a few weeks. Our breakfasts came and for a reason we can’t explain, we began to eat as if it was a competition. We’d take turns speaking while the other one was trying to shove half an English muffin down his throat. The call lasted less than five minutes, but when we were done there was no food left on the table. We felt that maybe we were abducted by aliens. After that it was show time, and man did we put on a show. (not pictured) It was a sold out crowd. We let loose with our first music ever played in the Oregon Territory and we nearly tore the roof off the place! Our good friend Cheyenne and her daughter Phoenix drove down from Seattle to see us play because they are super fans. 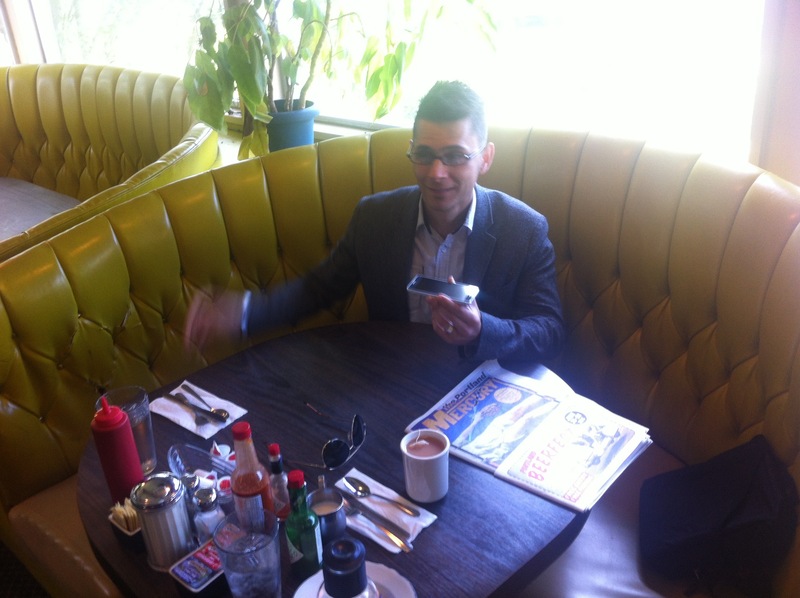 After, we went out to lunch at a place where we got to hear the boss humiliate his workers the whole time. Not rad. But it was great to hang out with Cheyenne and Phoenix. Picture #3 ScottBot requiring medical attention. Pro Tip: If someone has allergies, that someone should make sure he’s not going to be staying in a house with things he’s allergic to. Our good friend Alysha from high school, was kind enough to open her doors to us for our first night in town. 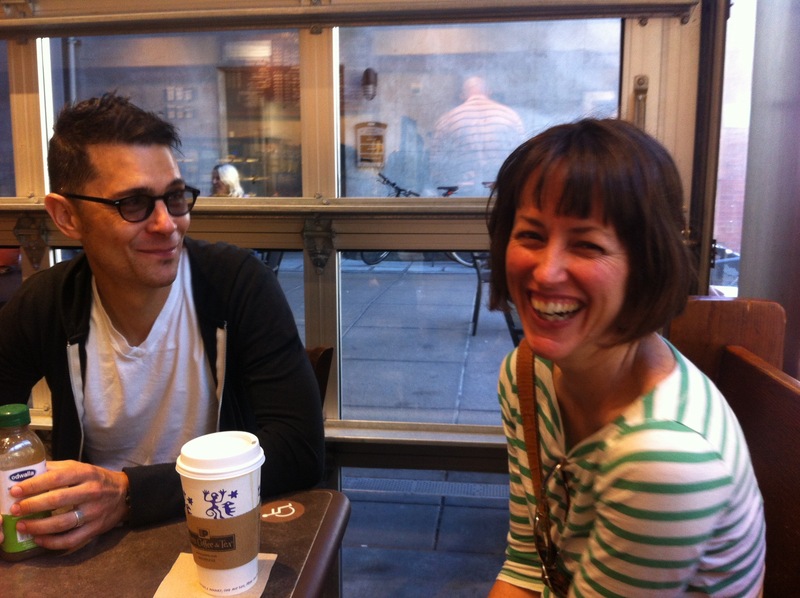 It was fantastic getting to sit down with an old friend we hadn’t seen in nearly 20 years. 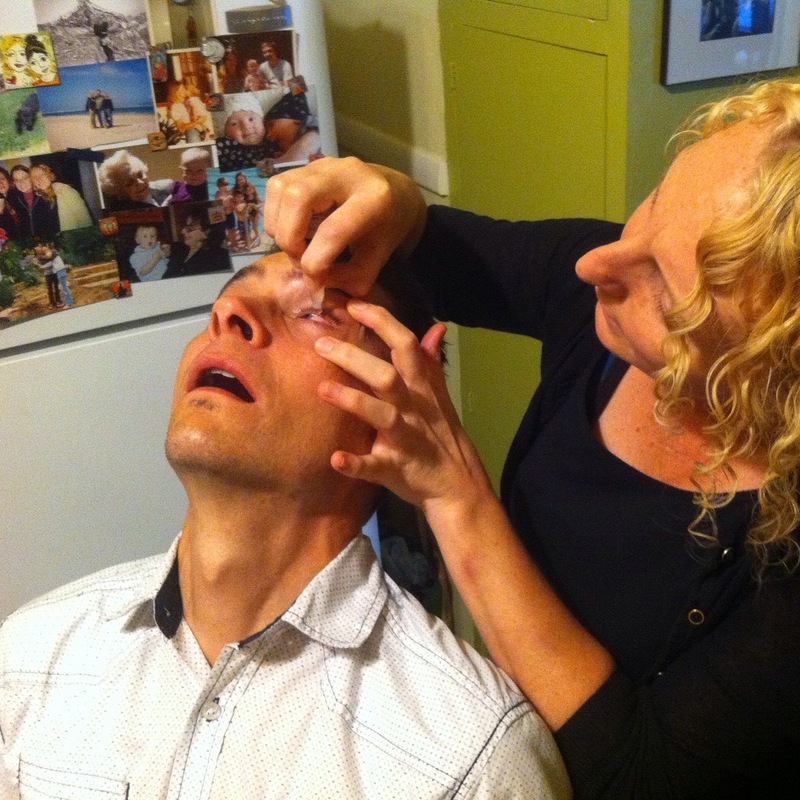 It was not fantastic to watch Scott’s eyes swell shut because she has two Mastiffs. It turns out Alysha used to be an urban goat herder! How rad is that?!? We had a great time catching up and ScottBot didn’t die. 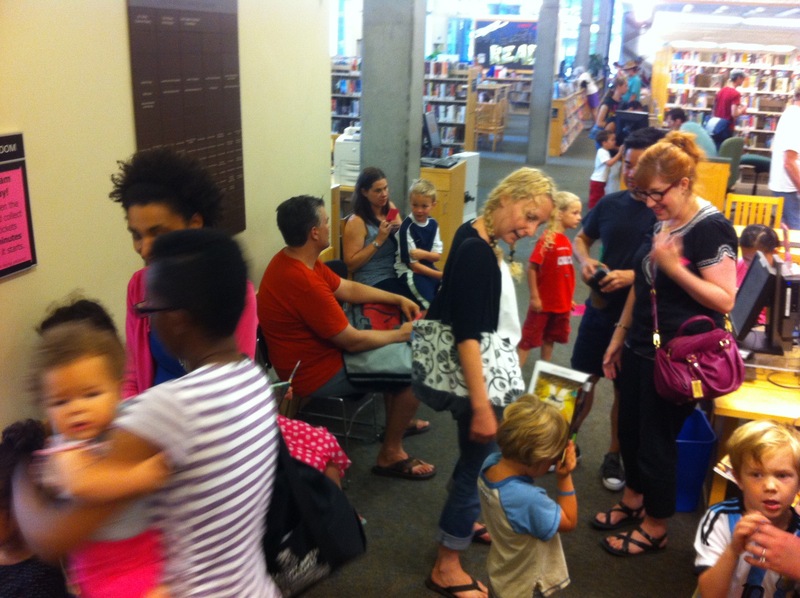 We got mobbed at Hollywood Library! So many people! So much fun! So many Frownings from folks trying to use the computers because they believe that libraries are supposed to be quiet just like in old movies! A weird thing happened at this library. The Children’s Librarian, Peter, was like a time traveling version of our buddy Tom who is a librarian in Auburn! It was strange to see what Tom was going to be like 20 years in the future, but good to know that he was still having fun and loving his job. We went with some friends to see Bootsy play at the Crystal Ballroom. 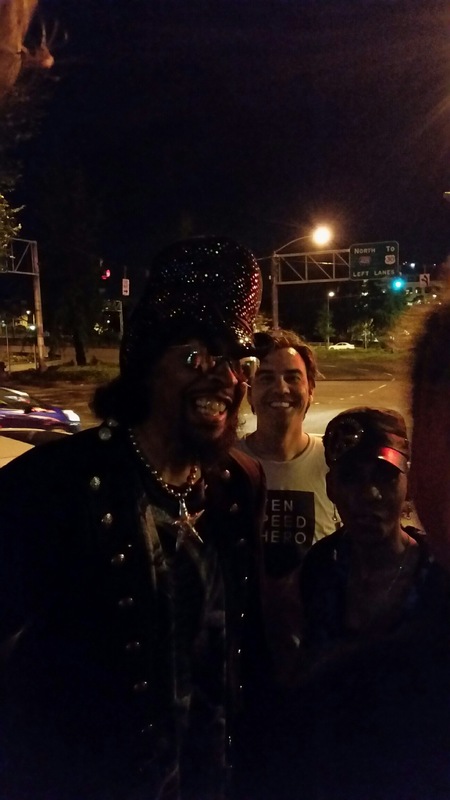 It was a really great show, and Bootsy was as good as we thought he was going to be. We danced all night, even though it was so hot in there that there was a medical emergency before the show even started. PARTY! After the show we went out for pizza with friends and then drove back downtown to find a place to park near our hotel. As we were searching, who should walk out of the Chrystal Ballroom but BOOTSY! I photobombed him and ScottBot snapped this shot. It was an amazing end to an already great night. 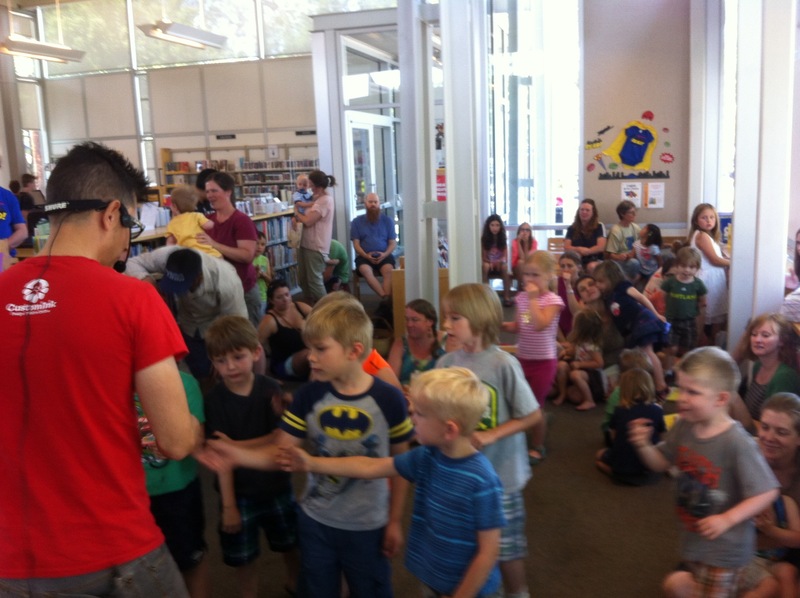 The next day we had a library show and then a preschool show right after it. Both shows went really well. That night we went to stay with an old friend named Gerald who used to play guitar and clarinet with The Dead Hensons, a band we used to gig with when we were in Smooot Valley High. Gerald is a total night owl and the three of us ended up playing music until two in the morning. Fortunately we didn’t have a show the next day. Man I wish someone had taken pictures the next day because it was amazing. Since the whole northwest was having a 104 degree meltdown, our friend Crelly drove us, and Donna, to Washington in search of a great swimming hole. Unfortunately, we didn’t get on the road until traffic started heating up. After an hour driving and ten minutes hiking, we were in the river. We swam around in some really shallow water (They’re having a drought too ya’ know) and a bald eagle, the first one I’d ever seen in my life, flew right over us. After that, we went and swung on some swings and looked at the trees until we were all so hungry we thought we may die. We did not die, but later that night we met Gerald IN A CEMETERY. Picture #6 Gerald waving to us from front row seats he was saving for us. We watched MacBeth. SPOILER ALERT, there was a guy in the cast that was in a traveling children’s theater show that came through Auburn six months ago! The show was a great time and we wandered around the graveyard afterward looking for a hollow tombstone that was used to sell hootch during prohibition. We did not find it. Picture #6b We did find this tombstone, which was probably the best one I’d ever seen in my life. Afterwords we went back to Gerald’s and had an impromptu reunion of Cap’n Smooot, a band Scott and I started in the early 1990’s. Again we played music and talked art until the wee hours. The next morning we got up early to have breakfast with our friends Brad and Holly. It was great to see the two of them, and on Holly’s birthday no less! It took the whole meal, but Scott finally talked them into coming to our show that day. 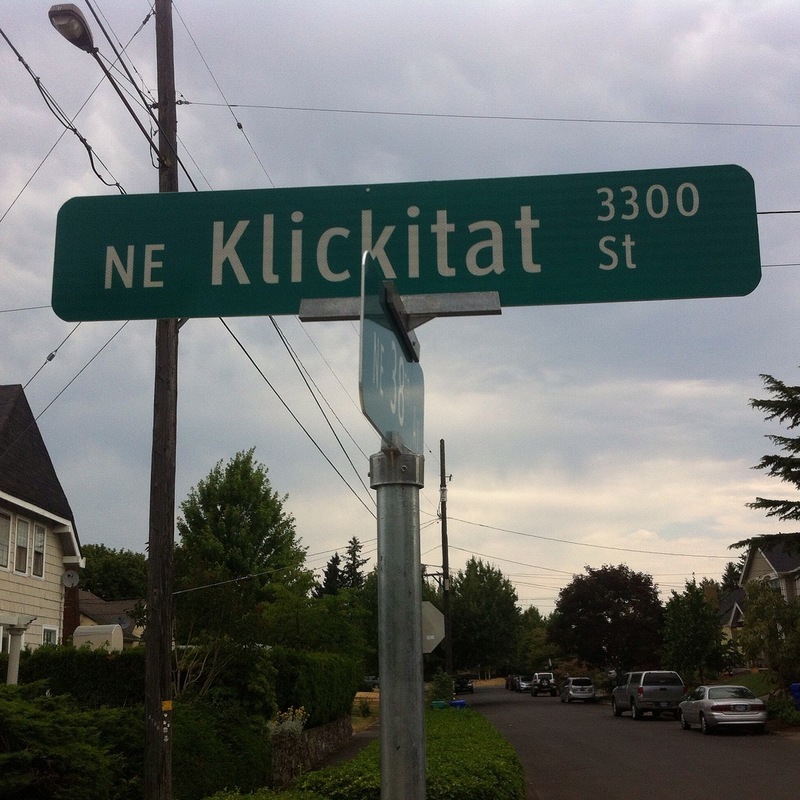 We were on our way to our last show and kind of lost when we happened upon Klickitat Street. I had to pull the car over and take a picture because this was a place I spent a lot of time imagining as I read Beverly Clearly’s books as a kid. I have to admit, that neighborhood is waaaaaay fancier than I pictured it. Picture #8 Alysha and her niece and nephews, Brad, and Holly getting ready to see our last show. The last show was a great way to end the tour. Standing room only, surrounded by friends, and the kids loved it. Lots of hugs later, we loaded up the car and made one last stop. Picture #9 ScottBot and Crelly having one last cup. We said a quick third goodbye to Crelly, who really is one of our favorite folks on the whole planet, and pointed the car in the direction that Google said the airport was, and rolled out of town. Picture #10 So long Stumptown! We hope to make another trip up next Summer and play some more of our good rocking tunes for the children of Portland. 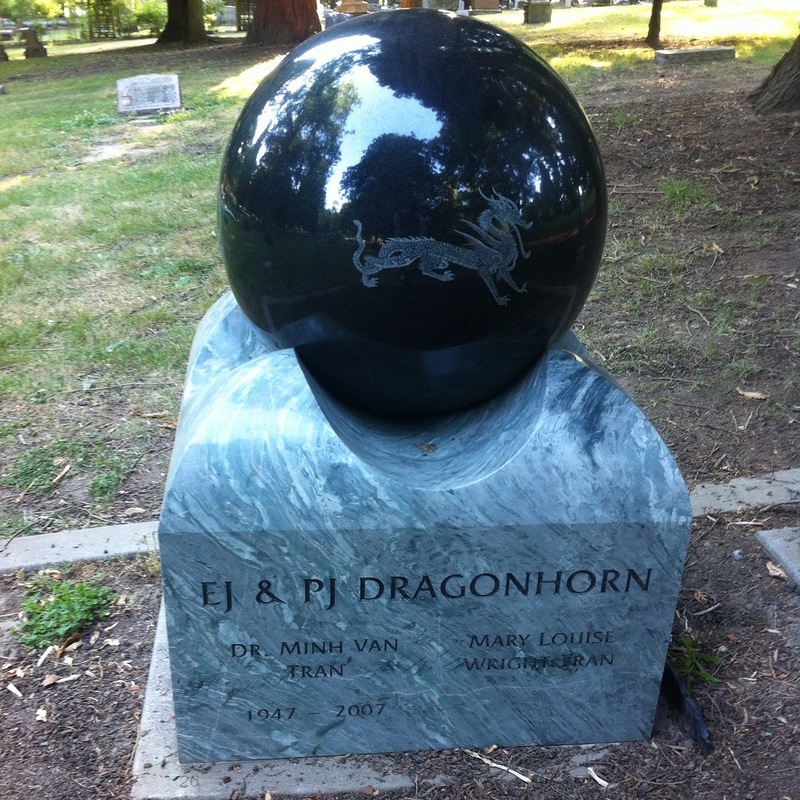 This entry was posted on July 9, 2015 by jason adair.